Snappingturtle.net is a small, private Toronto-based domain name co-operative co-owned by netizen Robyn Kalda and journalist Patrick Cain. In December 1999, when we found ourselves firing an ISP for the third time in four or five years when its standard of service collapsed suddenly, we decided that while getting good-quality Internet access might mean changing ISPs now and then, it didn't have to include the enormous hassle of changing things like e-mail addresses. Changing addresses online, we found, is nearly as tiresome as changing addresses in the physical world - and when you consider things like changing business cards and letterhead, nearly as expensive. But unlike a physical address, you really can stay in one virtual place forever. If you own a domain, you can fire and hire ISPs as often as you like, while never changing anything that's visible to anyone you deal with online. That's where our friend the turtle comes in. (That's him, above.) Service providers can come and go, but we'll always be @snappingturtle.net. Well, most of the time - says the zoology graduate in the group, oversimplifying immensely - snapping turtles just swim around and mind their own business. When something bugs them, they bite it, with dramatic effects. Turtles have been around since the dinosaurs. 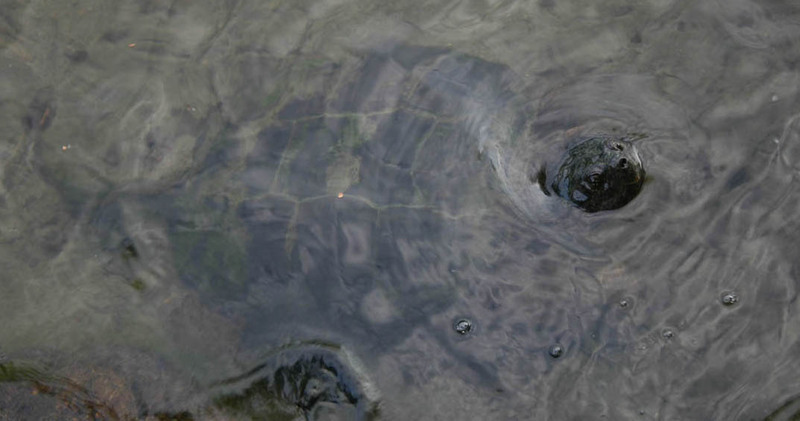 Predators and ice ages come and go, environments change, but turtles just keep being turtles. Search Google for links about turtles in case that's what you were really looking for.